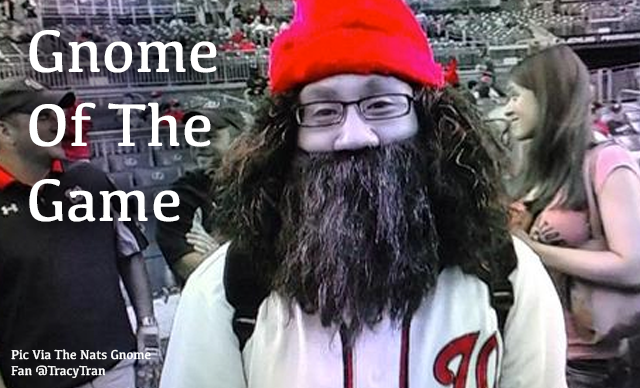 On Monday night during the Nats win over the Braves, we saw Matt Williams do something that I don't think we've seen from him the entire year. With starter Doug Fister in somewhat of a jam in the 7th inning with 2 outs and runners on 1st and 2nd (and a 1 run lead), Williams walked out to the mound. 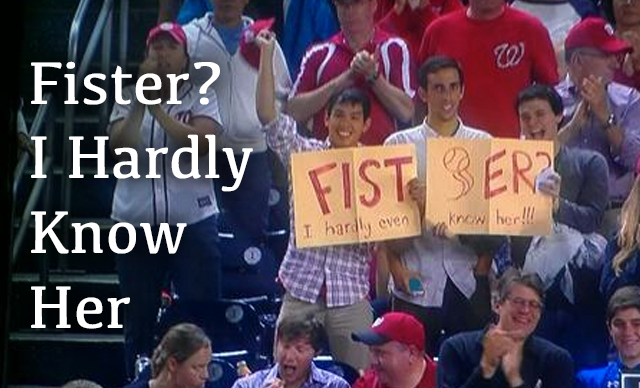 As the fans saw this happening they began to give Fister a standing ovation (and this NSFW sign) for his great performance. 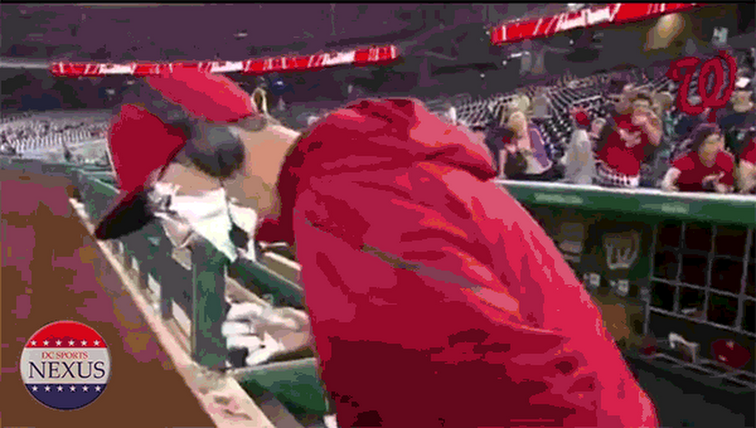 Then, all of a sudden, after a word or 2 with Fister, Matt Williams turned right back around and into the dugout with Fister remaining on the mound. Here's what that very brief meeting on the mound looked like. 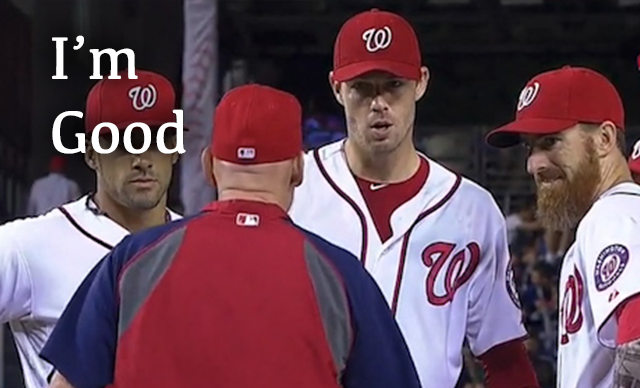 That GIF is a lot of lip reading, but Matt Williams, Adam LaRoche, and other confirmed that was the gist after the manager asked him if he was good to go against the batter. Williams said he wasn't going out there to remove Fister, but to just give him a look to ensure that he still had the fire to compete.